While a diploma certainly enhances a new graduate’s resume, it doesn’t guarantee that they will be readily able to find employment. 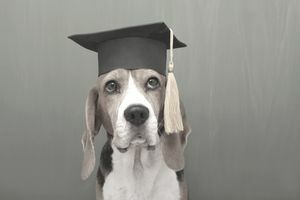 Here are some tips for new graduates as they enter the job market and search for the ideal animal career opportunity. You might have achieved a degree that would logically lead to employment in one particular field, but your skills may be readily transferable to another field that offers many more job opportunities. For example, a veterinary technician diploma might lead a candidate to a position in the veterinary pharmaceutical sales arena, rather than a traditional clinic-based support role. If you can gain valuable skills and practical experience, it may be worth taking a job that isn’t exactly what you’re looking for but will better prepare you for the position you desire. A commitment of one to two years may result in greatly enhanced prospects when you re-enter the job market. Just be sure not to develop a pattern of short-term commitments so that you won’t be branded with the dreaded “job hopper” label. If you can’t find a position right away, consider looking for an internship or volunteer opportunity. There are many internship opportunities for those interested in zoo careers, wildlife careers, equine careers, animal nutrition careers, marine animal careers, veterinary careers, and many other fields of interest. These opportunities can be found through online searches, the career center at your educational institution, or by sending direct inquiries to businesses you are interested in. Internships allow a candidate the opportunity to develop practical skills, put their education into practice, and interact with professionals in their field of interest. Internships also function as great networking opportunities and resume enhancers. If your dream employer offers internship opportunities, you should definitely consider looking into those options. Getting your foot in the door can lead to a full-time position down the road. Be sure to include both the larger internet job search sites and the smaller niche sites (such as sites that focus on equine or veterinary related careers) in your online job search. Don’t forget about utilizing social media sites to maximize your online presence. Social media networking is a good way to let friends and associates know about your job hunt, and you never know where a great job lead will come from. Popular social networking sites such as LinkedIn, Facebook, and Twitter can connect you with friends that could provide referrals or advise you about a job that hasn’t yet been advertised to the general public. It is also important to communicate with any industry professionals that you may know. For example, a candidate seeking a position in the equine industry might let their farrier, veterinarian, or riding instructor know that they are actively looking for work. Colleges and universities almost always have career planning resources available to their graduates. Many educational institutions are willing to provide lists of prior graduates that have gone on to work in your desired industry or a closely related area, so be sure to leverage your college’s alumni contacts. Also be sure to ask professors and advisors if they can connect you with successful former students, professional colleagues, or business contacts. If you are geographically mobile, which is the case for many new graduates, consider applying to jobs in an area that has more opportunities than your current location. For example, those seeking an equine position might find more opportunities in an area known for producing horses, such as Ocala or Lexington. If your resume and cover letter aren’t generating any interest, consider revamping both documents. There are many resume examples available online which can be found with a quick search. Your local library is also likely to have dozens of books on resume writing. Many educational institutions give their students and graduates access to a career planning center, which often includes a service where they will look over a resume and provide helpful tips for improvement. If this service is available you should definitely take them up on it! If it is not available, consider asking your professors, advisors, and local professionals to look over your resume and give you any tips that they can. Some public libraries also offer career planning classes.